Of course, our immediate reaction to flickering lights is that there is a ghost lurking somewhere in the halls. However, the cause of flickering lights is almost always due to a short circuit in the system. If you’ve noticed this issue in just one lamp, you might get away with replacing that lamp and nothing else. But, if all the lights in your home are flickering, you have a larger issue at hand. If this is the case, contact an electrician before the problem gets any worse. If any of your light switches, or even random spots on the walls, feel warm, it indicates a breach in the electrical system. A hot spot represents points in the electrical system where current is flowing in a direction it shouldn’t. Electrical current gives off a lot of heat when it is diverted into the wrong spot, like drywall. Do not ignore this issue, as it can lead to very dangerous situations, like a house fire. Be sure to call for repairs as soon as you notice this issue. Your circuit breaker is designed to protect your home from power surges. When a part of your home’s electrical system suddenly carries voltage beyond the safety limit, the circuit breaker trips and that part of the system is shut down. Usually, you experience a circuit breaker trip when you overload the circuit. This can typically be resolved by unplugging a couple of things and resetting the breaker. But, if you are experiencing this frequently, you are likely dealing with a larger issue. There is either an issue with the circuit or breaker itself. In any case, contact an electrician right away. Should you experience any of the above-mentioned issues, contact your local electrician right away. 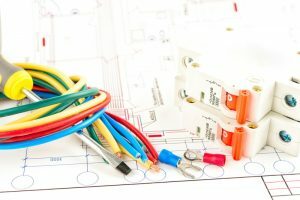 Never attempt to address these issues yourself, as handling your electrical system is quite dangerous when you lack the skills and experience necessary to do so. To schedule your electrical repairs or maintenance, contact the experts at Douglas Cooling Heating & Electrical.